Spanish tapas are best enjoyed as a group. Small tapas plates are great for sharing and exploring a menu. 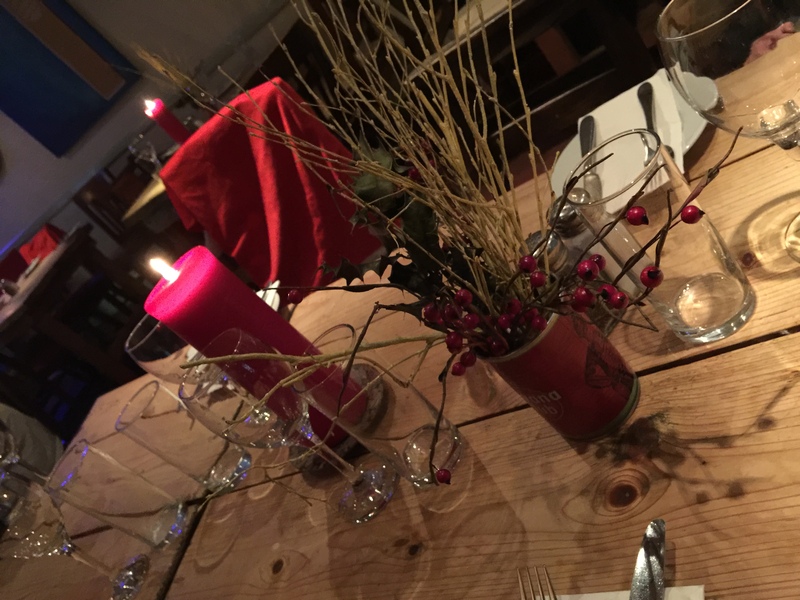 The Pottery Tapas Bar is all twinkly with fairy lights which gives it a festive feeling. Chairs topped with Santa Clause covers gives it a quirky, fun feel. We savoured a few of the mouthwatering dishes from the extensive menu and they were all delicious. From the hearty portion of nachos smothered in guacamole, the crispy white bait, to the the flavoursome seafood paella. The lamb with mint gravy was succulent and well seasoned, the calamari in a garlic sauce was lovely too. The chorizo was great and the meatballs in a tangy tomato sauce were moreish. 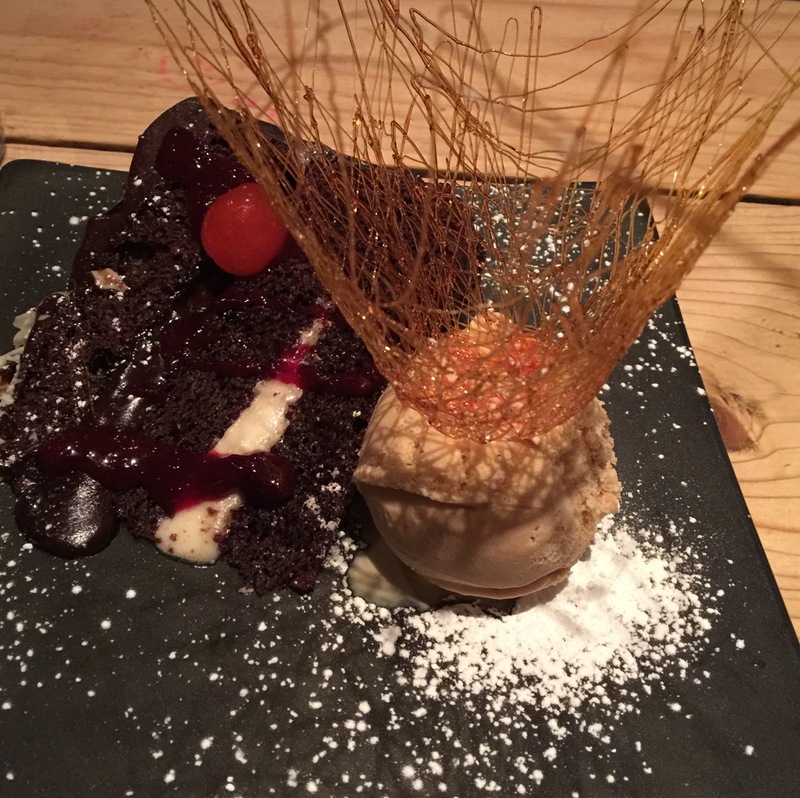 The moist chocolate cake topped with glacé cherries and a crown of a sweet spun sugar, was rather impressive. The service is excellent and although great for a group, the candlelit setting is quite romantic too.